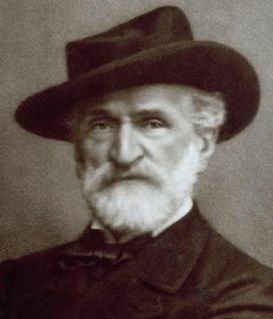 The Messa da Requiem is a musical setting of the Catholic funeral mass (Requiem) for four soloists, double choir and orchestra by Giuseppe Verdi. It was composed in memory of Alessandro Manzoni, an Italian poet and novelist whom Verdi admired. The first performance, at the San Marco church in Milan on 22 May 1874, marked the first anniversary of Manzoni's death. The work was at one time called the Manzoni Requiem. It is rarely performed in liturgy, but rather in concert form of around 85–90 minutes in length. Musicologist David Rosen calls it 'probably the most frequently performed major choral work composed since the compilation of Mozart's Requiem'. Martti Talvela Golden Melodram, CD: GM 4.0067 Live recording made on 5 February at Carnegie Hall in New York City. Gottlob Frick Altus, CD: ALT 156/7 Live recording made on 2 February in the Congress Hall of the Deutsches Museum, Munich. The Messa per Rossini is a Requiem Mass composed to commemorate the first anniversary of Gioachino Rossini's death. It was a collaboration among 13 Italian composers, initiated by Giuseppe Verdi. The composition was intended to be performed on 13 November 1869 in the Basilica of San Petronio, Bologna, where Rossini grew up and spent a large part of his life. Professor Jonathan Freeman-Attwood, CBE is the 14th Principal of the Royal Academy of Music in London, and was appointed in 2008. Alongside his commitment to education, he is also a writer, recording producer, broadcaster and trumpeter. James Peppler Morris is a leading American bass-baritone opera singer. He is known for his interpretation of the role of Wotan in Richard Wagner's operatic cycle, Der Ring des Nibelungen. The Metropolitan Opera video recording of the complete cycle with Morris as Wotan has been described as an "exceptional issue on every count." It was broadcast on PBS in 1990, to the largest viewing audience of the Ring Cycle in human history. Ramón Vargas is a Mexican operatic tenor. Since his debut in the early '90s, he has developed to become one of the most acclaimed tenors of the 21st century. Known for his most expressive and agile lyric tenor voice, he is especially successful in the bel canto repertoire. The Stereo Record Guide is a series of nine classical discographies published by the Long Playing Record Library in Blackpool from 1960-1974. Carlo Colombara is an Italian operatic bass. He has sung leading roles in many major opera houses including Teatro alla Scala ; the Vienna State Opera ; the Real Teatro di San Carlo ; the Arena di Verona ; the Royal Opera House, and The Metropolitan Opera. The Penguin Guide to Recorded Classical Music was a widely distributed annual publication from Britain published by Penguin Books that reviewed and rated currently available recordings of classical music. It was written by Ivan March, a music journalist, consultant and former professional musician; Edward Greenfield, former music critic of The Guardian newspaper and Robert Layton, music writer and lecturer. All three were also reviewers for the UK classical music periodical Gramophone. From 2008-2010, a fourth contributor was listed also as a co-author, Paul Czajkowski, who had been listed an editor from the 2002 book. This list is a discography of The Bartered Bride by Bedřich Smetana. The opera was first performed, in its original two-act format, at the Provisional Theatre, Prague, on 30 May 1866. After substantial revisions it was premiered in its extended three-act form at the Provisional Theatre on 25 September 1870. The Testament Records label, based in Great Britain, specialises in historical classical music recordings, including previously unreleased broadcast performances by Arturo Toscanini and the NBC Symphony Orchestra and Solomon. It has also issued DVDs of the digitally reprocessed kinescopes of Toscanini's 10 televised concerts on NBC from 1948 to 1952, adding sound taken from magnetic tape recordings of the broadcasts. These lists show the audio and visual recordings of L'incoronazione di Poppea by Claudio Monteverdi. The opera was premiered in Venice in 1642-43, but after a 1651 revival in Naples it remained unperformed for 250 years. It began to enter the general opera repertory in the 1960s, and thereafter was increasingly performed in leading opera houses and festivals. Edward Harry Greenfield OBE was an English music critic and broadcaster. The first recording of Edward Elgar's Symphony No 1 was made by the London Symphony Orchestra in 1930, conducted by the composer for His Master's Voice. The recording was reissued on long-playing record (LP) in 1970, and on compact disc in 1992 as part of EMI's "Elgar Edition" of all the composer's electrical recordings of his works. Edward Elgar's Symphony No 2 was first recorded complete in 1927 by His Master's Voice conducted by the composer. This recording was reissued on LP record and later on compact disc. There was no further recording for seventeen years, until Sir Adrian Boult made the first of his five recordings of the symphony in 1944. Since then there have been many more new recordings, the majority played by British orchestras with seven of them recorded by the London Philharmonic. This is a discography of The Merry Widow, an operetta by the Austro–Hungarian composer Franz Lehár. It was first performed at the Theater an der Wien in Vienna on 30 December 1905. The operetta has been recorded both live and in the studio many times, and several video recordings have been made. The first recording of a substantially complete version of the score was made in 1907 with Marie Ottmann and Gustav Matzner in the lead roles. The next full recording was issued in 1950, in English with Dorothy Kirsten and Robert Rounseville in the leading roles. This is a list of recordings of La Grande-Duchesse de Gérolstein, an opéra bouffe, in three acts and four tableaux by Jacques Offenbach to an original French libretto by Henri Meilhac and Ludovic Halévy. The work was first performed in Paris on 12 April 1867. The 1953 EMI recording of Giacomo Puccini's Tosca conducted by Victor de Sabata, with Maria Callas, Giuseppe Di Stefano and Tito Gobbi, is considered by many opera critics to be one of the most notable opera recordings of the 1950s. It was recorded in August 1953 by the EMI subsidiary Columbia Records and released to critical acclaim. It was a commercial success from the start and continues to be one of the best-selling opera recordings. Brighton Festival Chorus is a large choir of over 150 amateur singers based in Brighton, UK. One of the country's leading symphony choruses.., and considered "one of the jewels in the city's musical crown", BFC performs in major concert halls throughout Britain and Europe, particularly in Brighton and London. MünchenKlang is a Munich ensemble comprising a choir and an orchestra. The name is a compound of its city of origin (München) and the German word for sound (Klang). 1 2 3 4 Jolly 2007, pp. 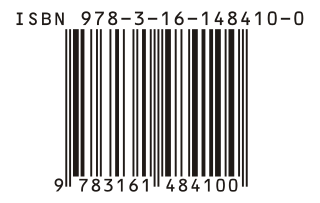 1122–1126. ↑ Jolly 2007, p. 1126. "Skillfully remastered from BBC originals, this is a superior performance to Toscanini's familiar RCA version of 1951...."
↑ Testament Records SBT21362 Archived 18 July 2011 at the Wayback Machine . ↑ Penguin Guide 1996, pp. 1414–1418. 1 2 Penguin Guide 2008, pp. 1454–1456. ↑ Penguin Guide 1996, p. 1415. "Fricsay's second recording … is of a live performance given in 1960, the very last he conducted before his untimely death. In biting drama it has never been surpassed, and even though speeds are often measured when compared with his fine studio recording … such is the voltage of this later recording that it doesn't sound slower. … a recording which even today, can startle by its immediacy of sound." ↑ Manheim, James. Verdi Requiem discography at AllMusic . Retrieved 14 October 2013. Jolly, James, editor (2007). The Gramophone Classical Music Guide 2008. Middlesex, UK: Haymarket Consumer Media. ISBN 978-0-86024-962-7. March, Ivan, editor (1996). The Penguin Guide to Compact Discs and Cassettes (new edition with Edward Greenfield and Robert Layton). London: Penguin Books. March, Ivan; Livesey, Alan, editors (2007). The Penguin Guide to Recorded Classical Music (completely revised 2008 edition with Edward Greenfield, Robert Layton, and Paul Czajkowski). London: Penguin Books. ISBN 978-0-14-103336-5. Gramophone is a magazine published monthly in London devoted to classical music, particularly to reviews of recordings. It was founded in 1923 by the Scottish author Compton Mackenzie. It was acquired by Haymarket in 1999. In 2013 the Mark Allen Group became the publisher. "Verdi Requiem : list of recordings". Presto Classical. Retrieved 12 November 2010.